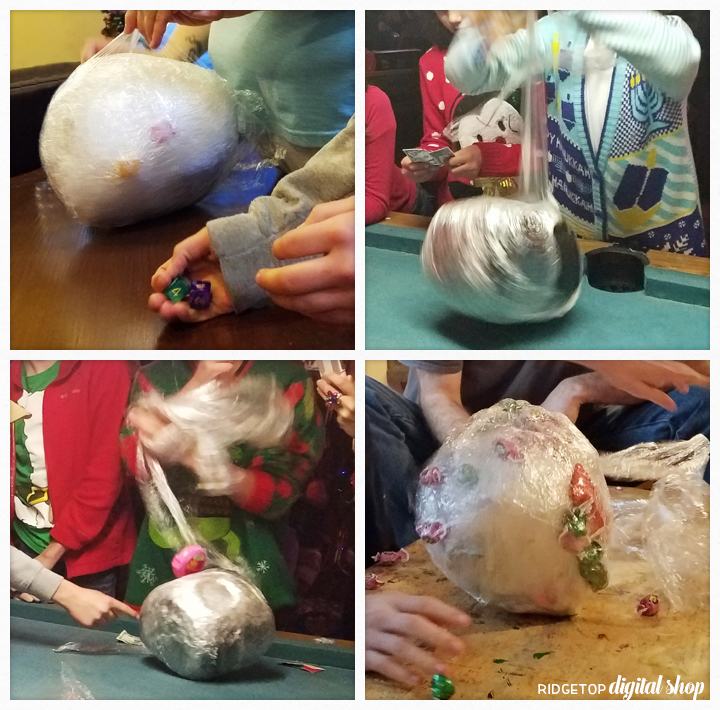 The Plastic Wrap Game is hilarious and a ton of fun for all ages. The concept is simple and the game is fast paced creating lots of laughs. The game can get rowdy – and that’s why I love it! • Plastic Wrap – as much as you need. For the ball in the photos, I used a little over 400′. I know people who use an entire Costco sized roll. I know a family who makes their ball so big it has to be brought in by a wheel barrow. So, it’s really up to you how much plastic wrap you need. There is no right or wrong way to wrap your ball. Pick your center gift and wrap plastic wrap around it. 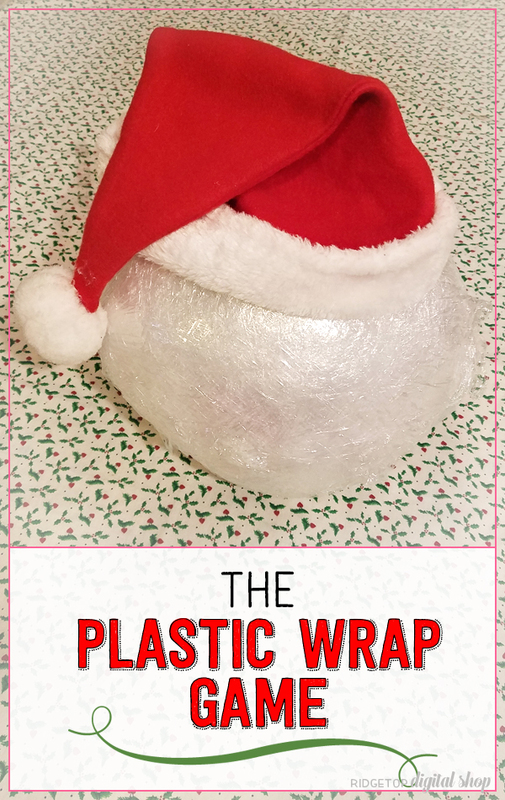 Continue wrapping plastic wrap around and around, adding prizes occasionally. The plastic wrap pieces can be as long or as short as you like. The shorter they are, the more difficult and longer the game takes because it takes time to find the edge of the plastic wrap to start unwrapping the ball. 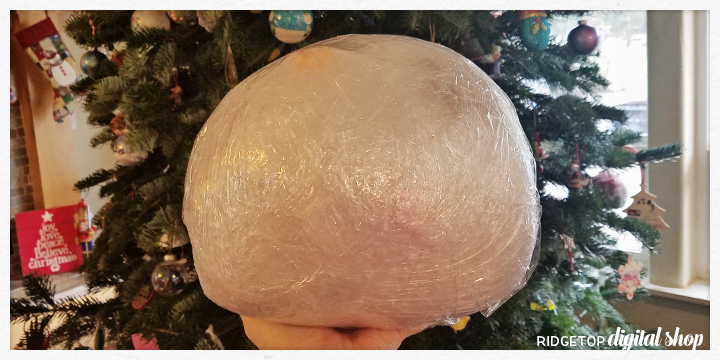 When you are out of prizes and/or plastic wrap your ball is done. 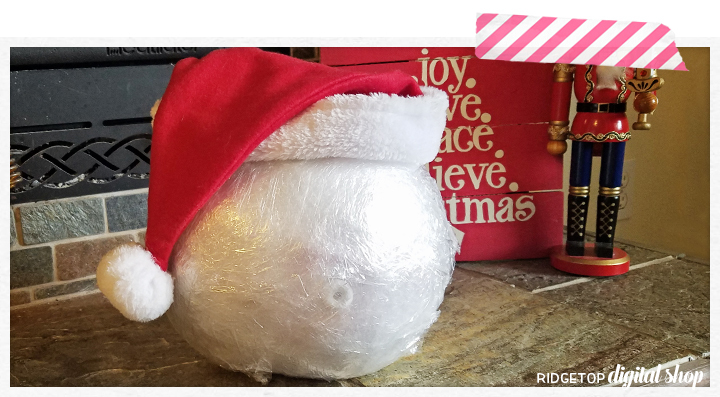 I like to wrap extra pieces around the ball after all the gifts are inside to make it hard to see the goodies and so it takes a little longer for the first prize to be uncovered. Other people like to have wowing prizes showing through to add to the excitement while people are waiting to play the game. The prize ideas are endless. 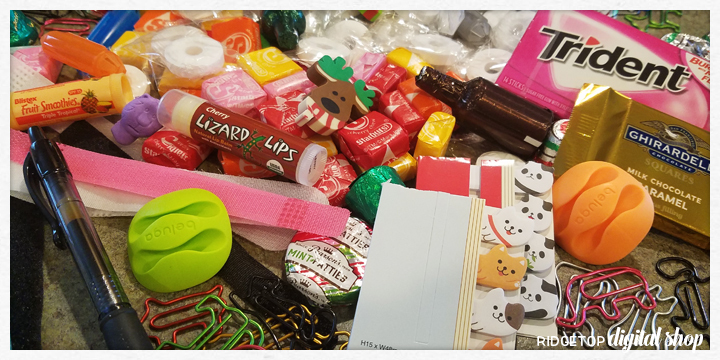 This year, since our ball was for ages 10 – adult, I chose chapstick, candy, gum, pens, pencils, erasers, sticky notes, gadgets for cord management and fun shaped paper clips. I know someone who makes blankets and adds them to the ball! The center prize is typically the best. We’ve used gift cards, cash, and stuffed animals. 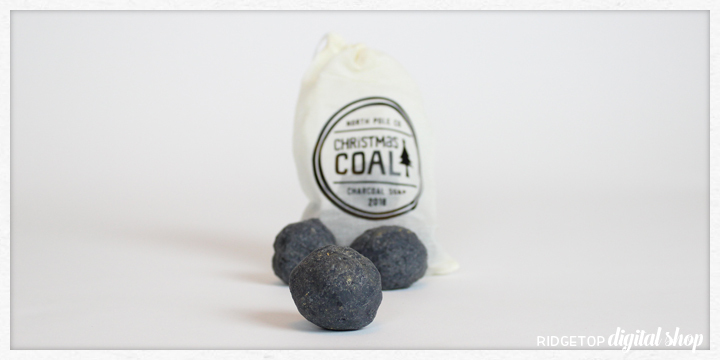 Since the last prize is so anticipated, I thought I’d be funny and add Christmas Coal Soap I had made in one ball. The joke was on me, though, because I ended up winning it. • Roll the dice to see who starts with the ball. Highest number goes first. • The player to their left rolls the dice as fast as they can trying to get doubles. As the dice are rolling, the person with the ball is unwrapping it, keeping any loot they uncover. As soon as doubles are rolled, the player with the ball passes it to the player who was rolling the dice. The dice are then given to the next person to the left. • This continues until all the gifts have been revealed. It is such a fun, crazy way to spend time with friends & family. Have you played? What are your favorite prizes or variations to the game?